Zeinoddini, M., Monazah, A., Saeedinia, A. (2017). Comparison between RT-PCR, NASBA and RT-LAMP Methods for Detection of Coxsackievirus B3. Biomacromolecular Journal, 3(2), 100-106. Mehdi Zeinoddini; Arina Monazah; Ali Reza Saeedinia. "Comparison between RT-PCR, NASBA and RT-LAMP Methods for Detection of Coxsackievirus B3". 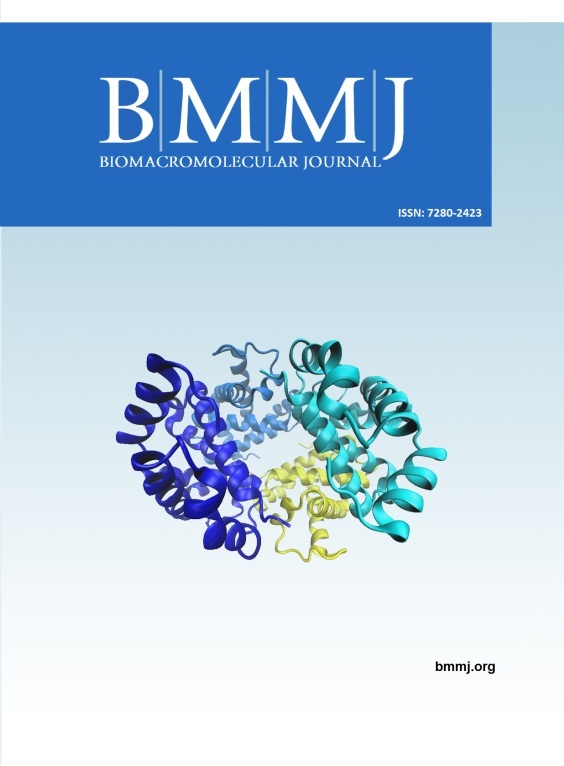 Biomacromolecular Journal, 3, 2, 2017, 100-106. Zeinoddini, M., Monazah, A., Saeedinia, A. (2017). 'Comparison between RT-PCR, NASBA and RT-LAMP Methods for Detection of Coxsackievirus B3', Biomacromolecular Journal, 3(2), pp. 100-106. Zeinoddini, M., Monazah, A., Saeedinia, A. Comparison between RT-PCR, NASBA and RT-LAMP Methods for Detection of Coxsackievirus B3. Biomacromolecular Journal, 2017; 3(2): 100-106. Viral myocarditis is a moderate disease, but it sometimes causes progressive cardiac disorder. Many different viruses have been considered as the agent of viral myocarditis, but Coxsackievirus of the B group, in particular of the Coxsackievirus B3 (CVB3), is more than fifty percent of cases of viral myocarditis. CVB3 is a positive single-stranded RNA virus and a member of the genus Enterovirus and it is most commonly causing of human viral myocarditis or human acute, especially in young patients. The goal of this study is a comparison of three molecular methods included RT-PCR, NASBA and RT-LAMP for detection of CVB3. For this purpose, the primer explorer V4 software was used for designing of specific primers. Total RNA extracted from CVB3-infected HeLa cell line after 24 hours and stored in -80 oC since using as the template in RT-LAMP, NASBA, and RT-PCR assays. Then, for evaluated of the sensitivity of these methods, serial dilution of total RNA was performed. The result of this study showed that the sensitivity of RT-LAMP, NASBA, and RT-PCR were 0.1, 10 and 10 pg, respectively. Based on the results that obtained in this study, the RT-LAMP assay was highest sensitive than RT-PCR and NASBA techniques for detection of CVB3 infection.